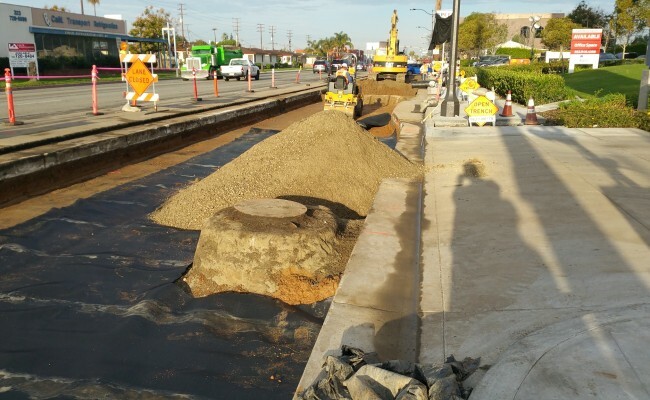 Pot holes for utilities and install forms for palm tree fixtures. 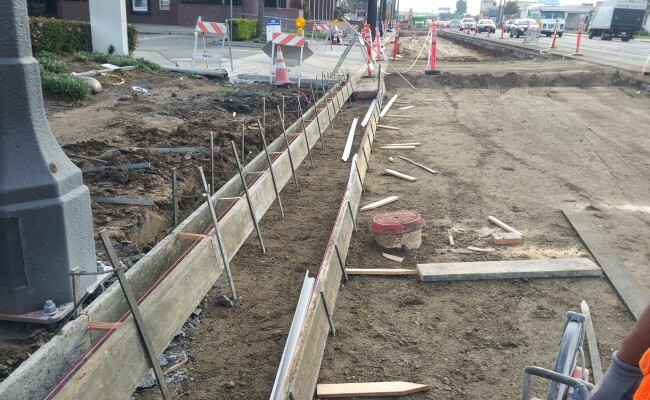 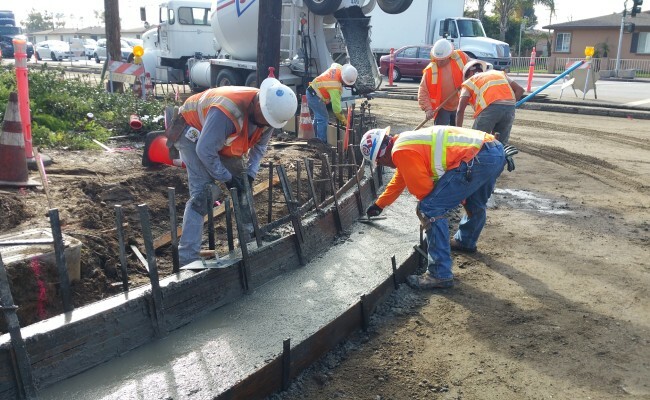 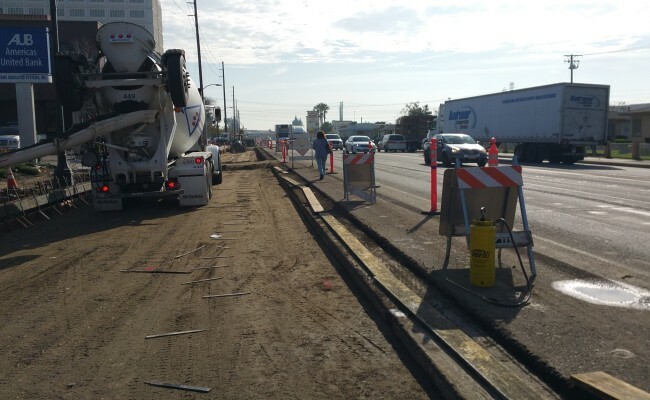 Roadway base compaction, curb & gutter concrete, bus pad concrete, and stripe crosswalks. 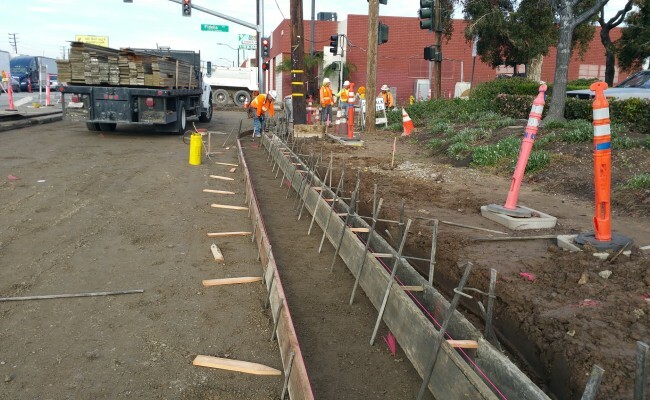 Irrigation installation, planting in sidewalk area, install mulch, and backfill root barriers.